As a family caregiver, taking action to prevent isolation is critical for your loved one’s wellbeing. Hiring companion caregivers ensures your loved one is with someone you can trust, and it also helps meet his or her need for socialization. Harrisburg, PA, home care professionals can be a wonderful boon to seniors. Whether they require around-the-clock supervision or just need assistance with exercise and household tasks a few days a week, seniors can enjoy a higher quality of life with the help of trusted in-home caregivers. Here are a few ways hiring companion caregivers can benefit your loved one. Your loved one’s risk of depression increases the more time he or she spends alone. Managing loss, boredom, or financial stress is easier when your loved one has someone with whom he or she can vent frustrations. Even sharing a laugh with a companion can lift your loved one’s spirits. A companion caregiver is trained to watch for changes in health that might go unnoticed by friends and family. The caregiver can let you know about the changes in your loved one’s gait, cognitive abilities, speech or general appearance so you can arrange for a physical exam right away. Older adults are also at risk of malnutrition. This is because chopping up vegetables and other meal prep tasks can become challenging when a senior has arthritis, Parkinson’s disease, or another condition that limits physical abilities. Companions can help plan nutritious meals and assist seniors with cooking so they always get the vitamins they need. Getting out of the house can be difficult for seniors who can no longer drive safely. Companions can take seniors to their doctor appointments, or they can plan a fun day out. The change in scenery helps seniors prevent boredom. Seniors with Alzheimer’s or other forms of cognitive decline could face difficulty adjusting to a new environment outside their home. For reliable Alzheimer’s care, Harrisburg families can turn to Home Care Assistance. We are a leading provider of professional memory care designed to help seniors maintain a higher quality of life. In addition to Alzheimer’s care, we also provide comprehensive dementia, Parkinson’s, and stroke care. From revolutionary care programs to compassionate and dedicated caregivers, we can meet all of your Alzheimer’s home care needs. From supporting them on walks to helping them keep their balance during yoga, caregivers can help older adults stay fit. Companions are also wonderful motivators, and many seniors don’t want to skip their workouts when they know their companion will be rooting for them. It is important for your loved one to have a reliable companion around, especially if he or she is experiencing cognitive decline. Companion caregivers are huge advocates for senior safety, and they stay alert for signs of scams. If a companion notices something does not seem right, such as your loved one giving money to a distant relative who never visits, he or she can discreetly let you know. Professional companions undergo training on how to help seniors retain their independence. They are experts at finding solutions to common problems such as helping with dressing using special mobility aids. With the help of a companion caregiver, your loved one can find several new ways to live independently. Find out how a Harrisburg, PA, home caregiver can help your senior loved one enjoy a higher quality of life by reaching out to Home Care Assistance. All of our professional respite and live-in caregivers are trained in comprehensive Alzheimer’s, dementia, Parkinson’s, and stroke care, and they can also assist seniors with basic daily tasks like exercise, cooking, bathing, and light housekeeping. 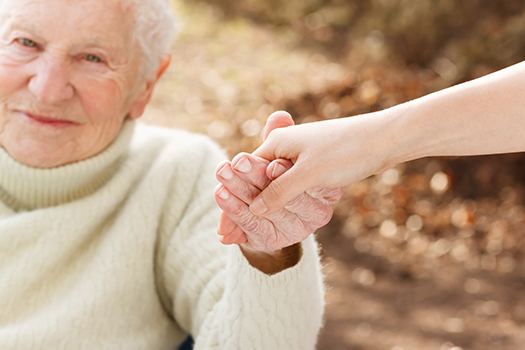 Call us at (717) 540-4663 to hire a dedicated and professional caregiver for your aging loved one.